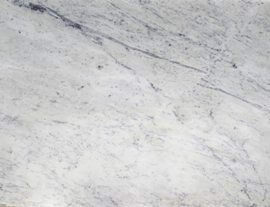 Lady Purple Marble, otherwise called Banswara Purple Marble, is a fine grained white marble with purple/violet lines. In sunlight the texture of this marble gives an amazing reflection and it seems like a mirror. This marble is the first choice for the people since many years. This marble due to its beautiful colors matches with many indoors as well as outdoors products. Lady purple marble is used as natural stone for commercial & residential projects, ranging from hotels, office buildings, shopping malls, pools & gardens to fine residences. Kushalbagh Marbles Private Limited, located at Banswara, is the biggest and oldest quarry owner, manufacturer, supplier and exporter of Lady Purple Marble. We are supplying Lady Purple Marble to all over India and have also exported it to more than 20 countries across all 6 continents. Thickness: 18 mm or 20 mm or 30 mm or 40 mm. Apart from that we can make custom made orders for counter tops, thresholds, steps and risers, etc. of Lady Purple Marble.